As a financial planner I have integrity, am honest and have 16 years experience in the financial services industry, joining Liberty Life in 1988 as a Life Assurance agent. 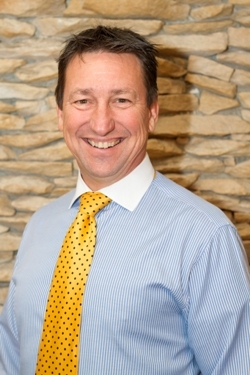 After two years training I became an independent broker setting up my own brokerage, Andrew Herweg Brokers cc, in 1990. Death, Disability & Dread Disease benefits – Discovery Life, Altrisk (Hollard), Momentum Life and Liberty Life. Income Protection – AIG and Discovery Life. Retirement Annuities – Momentum Guernsey (Offshore R/A), Metropolitan Odyssey and Ovation Global Investment Services. Investments – Bond Street Financial Services with access to over 20 FSB Approved Product Providers (Old Mutual, Investec, mCubed, Cadiz to name a few). Medical Aid – Discovery Health and Momentum Pulz. When I first meet with a client a thorough FNA (Financial Needs Analysis) is carried out. From this information a Structured and Workable Financial Plan is put in place and closely monitored over the years. Questions that everyone one of us must ask ourselves: what happens if I die suddenly (Estate Plan). You’ll be amazed at our dependable, trustworthy work, our knowledgeable and helpful service and our friendly staff. Allow me to become your Financial GP and Financial Coach. You can then concentrate on earning money while your financial plan protects what you have and concentrates on making Money.